Easily find and fix performance problems using intelligent diagnostics. Easily move schema data and tables across platforms. Protect data security by viewing, granting, and revoking permissions. DB Change Manager Automate and manage complex database schema changes Quickly deploy and reconcile database changes Identify, track and report database changes Comply with audit and database requirements Protect data privacy in a database environment Track changes from several major DB database platforms Optimizer Automation of SQL tuning and profiling -Optimize SQL code tuning on major DBMSs from a single interface. -Set up SQL as a professional with suggestions for auto-optimizing performance. -Solve complex SQL queries using SQL tuning diagrams. 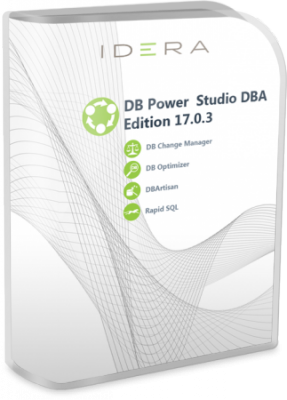 Effectively collaborate between development teams with DB version control PowerStudio DBA Edition includes all four of the products listed above. !!! When using keypatch or extract, it is better to disable Anti-Virus !!! !!! Do not use other serial numbers from the Internet !!! Click the??? Start Here to Select Product ??? button . Select the target product from the drop-down list. Click??? Generate ?? ?to get a new serial number. Click??? Patch ???and??? Save Slip ?? ?for each installed product. We launch the target product as an administrator for the first time. Enjoy !! !